Because I’m a noob, I found the presentation’s breakdown of climate change & the greenhouse effect, especially in comparison to one another, very important. Before reading on, expect to find several Wikipedia links. Yeah yeah, it’s not super scholarly; but I think it’s effective in establishing basic knowledge. The greenhouse effect describes the process in which (greenhouse) gases absorb and reradiate (re + radiate; to radiate again) energy from the sun, producing an overall warming effect on Earth (Wiki). Not to be confused with the greenhouse effect, climate change describes effects (physical, agricultural, economical, etc.) 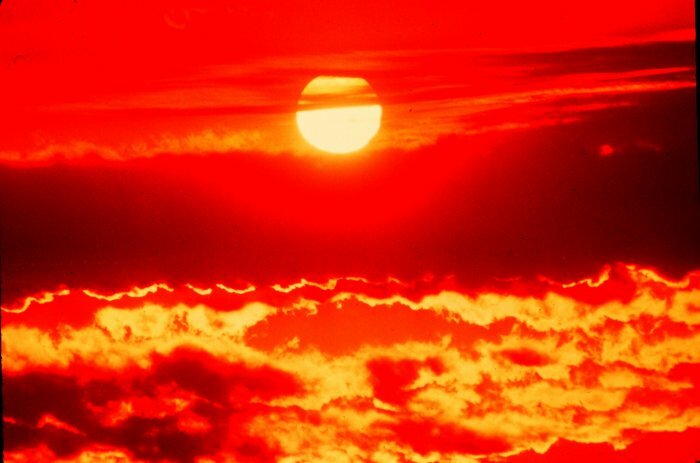 Earth may endure because of its ever-warming state. The greenhouse effect is a main contribution to Earth’s warming. Unfortunately, human activity, esp in relation to CO2 emissions, acts as a deadly catalyst to this naturally-occuring and necessary process. Because I found it so important, distinguishing different terms that laypeople (hello!) think are synonymous is useful when reporting on climate change. In my case, I know now the indisputable greenhouse effect isn’t bad, but actually essential, when left to the auspices of nature. What I gather is that positive feedback describes a process in which the effect of a certain change/disruption to an environment (non-specific) in turn causes more change/disruption. This loop begins (and ends) with climate warming. A warm climate causes water vapor via evaporation. Water vapor, the most abundant greenhouse gas, absorbs and reradiates the Sun’s energy. Reradiating of the Sun’s energy leads back to our initial change, climate warming. This video and its excruciatingly enthusiastic characters explain a positive feedback loop involving climate warming & ice melting. My area of focus in Australia is the bush. Here’s a positive feedback loop involving climate change I propose occurs there. 1. We start, again, with the initial change, climate warming. 2. Climate warming causes bushfires. A helicopter water bombs bushfires in southern Australia early 2014. 3. 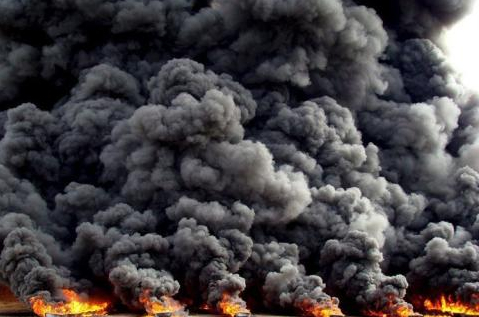 Bushfires cause greenhouse trapping via CO2 production. My bff Wikipedia tells me Mauna Loa is a Hawaiian volcano that is monitored for its atmospheric content, well above human-generated influences. Wiki also assures that adjustments are made to account for the volcano’s own CO2 emissions. Mauna Loa has historically been considered the largest volcano on Earth (Wiki). 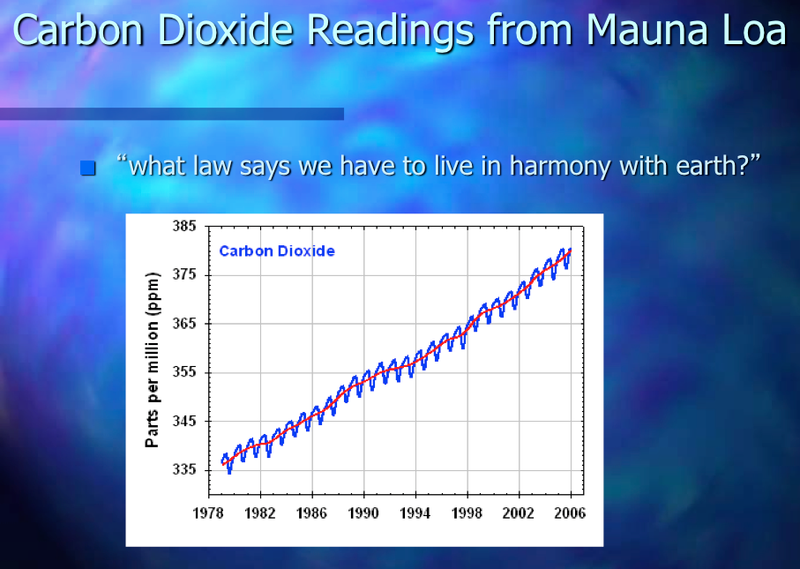 Because Mauna Loa’s isolated conditions, along with the quote on the PowerPoint slide, my investigative journalism skills lede (#punny) me to believe the graph gives perspective on the scale of human-influenced climate change. Yes, parts-per-million is a miniscule measurement. Significant, though, is the consistently rising trend line – More and more CO2 is being released into the atmosphere. What I find to be most significant here, is the context – These measurements weren’t taken in Manhattan or China, places filled with manmade CO2 emitters like cars and factories. This expresses the idea places that don’t contribute as much to climate change face unwarranted consequences. This assignment had me analyze coverage two media outlets gave a recent report by the Intergovernmental Panel on Climate Change. The report was accepted by the panel March 30, 2014. Specifically, we’re dealing with IPCC’s Climate Change 2014: Impacts, Adaptation, and Vulnerability. It consists of two documents: The Final Published Report & Summary for Policymakers, the latter baring more significance to the layperson in terms of clarity & understanding. Luckily for laypeople like me, a press release & video compliment the report. From the press release, I gather the report is similar to many publications we see today regarding climate change – Nothing I read/saw I would call groundbreaking; but perhaps I’m so saturated in climate change science, every revelation/claim seems hyper-realistic. 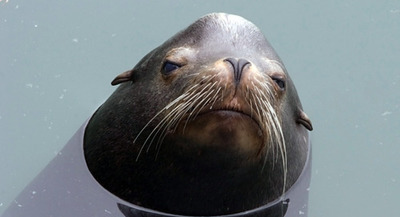 This unimpressed kangaroo is judging me for just saying that. Those living in poverty, especially in the Third World, are more susceptible to the risks of climate change due to their lack of resources. 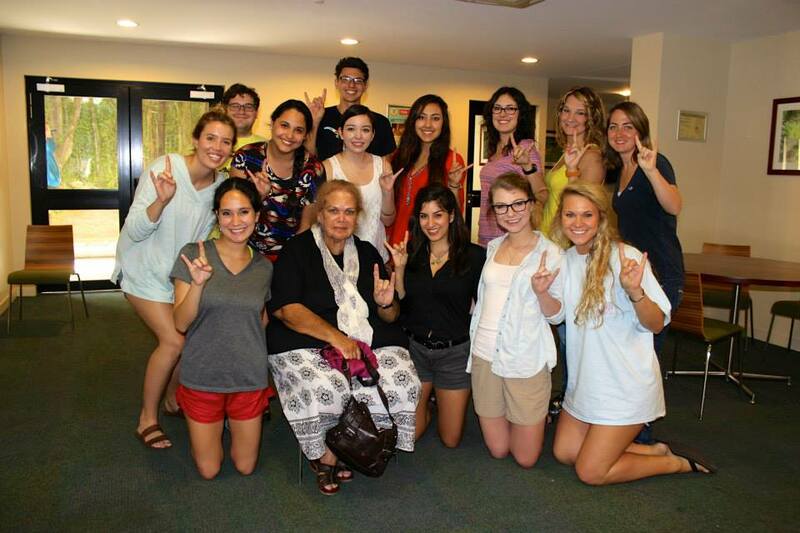 I enjoyed seeing solution efforts implemented, especially the reforestation of South Africa by the local community. We were to evaluate a New York Time’s article and an NBC News special on their coverage of the above report. To start, these media sources are different in form – one is an article, and the other a video sequence (split into six, sevenish-minute segments). I thought the NBC special succeeded in portraying the big picture of current climate change findings/happenings. 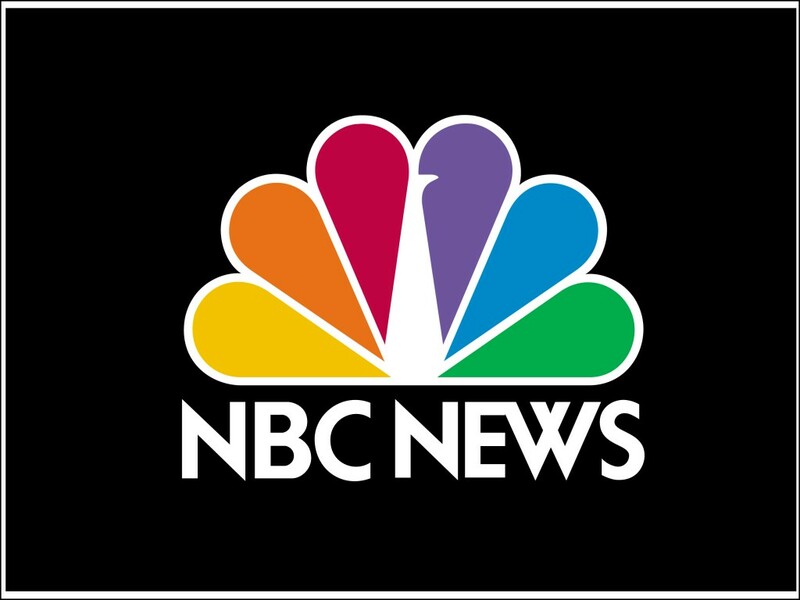 Ann Curry, NBC News reporter, spent a lot of time covering the connection of recent weather disasters, like the drought on the US’ West Coast & the long, harsh winter of 2013/14, with the occurrence of climate change. Is climate change causing these catastrophic events?, seemed to be one of the main questions during the special. From what I gathered, the most-acceptepted answer was, Probably but not we don’t know. The known, of course, includes the fact that Earth and oceans are warming and sea level is rising. The combined effect of the two may be a direct cause of all this severe weather. Dried mud flats in San Luis Resevoir near Los Banos, Calif. Unlike the NBC special, Justin Gillis’ NYT article didn’t stray far from the IPCC report – not a bad thing whatsoever. Along with touching on recent severe weather and the vulnerability of the impoverished, he also cited the report’s claim that the effects of climate change may lead to violent conflict over land, water or other resources. IMO this theory is one of the scariest regarding effects of climate change. Toward the end of the article, Gillis reveals that pressure from several wealthy countries, the US included, caused the IPCC to remove a portion of its report claiming that poor countries need as much as $100 billion a year to try to offset the effects of climate change. That portion of the report is significant, Gillis says, because poor countries are expected to renew their demand for aid this September. The wealthy countries argue the $100 billion-figure is too high. What key points are most relevant to my Australian adventure? The coverage, especially by the NBC special, of severe weather relating to drought is extremely relevant. 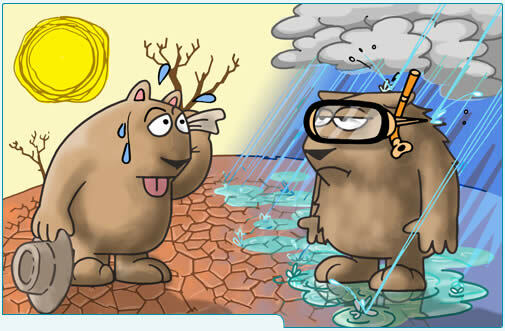 Most of the Australian continent is already uninhabitable because a lack of inland water. Intensifying these already-dry conditions is a looming drought. After responding to a bushfire in early 2009, a firefighter holds a koala’s hand as he feeds her water. 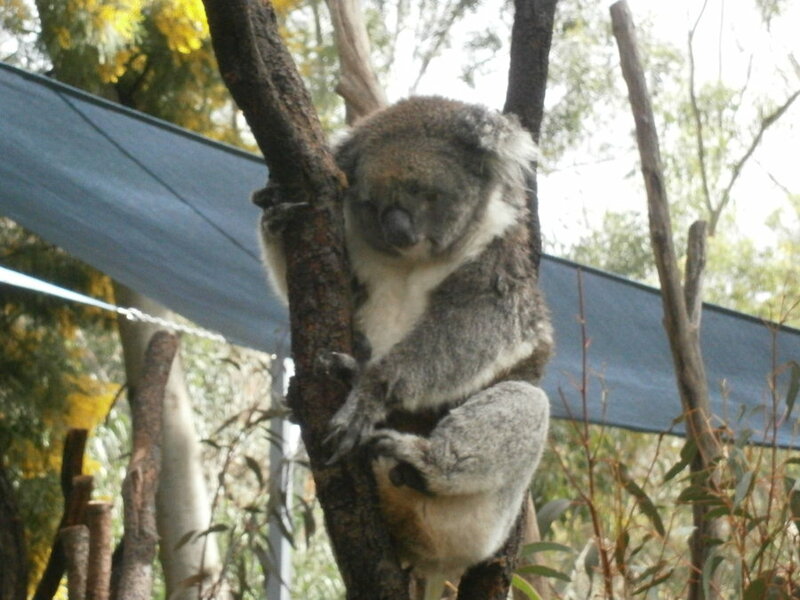 The video of the koala later named Sam went viral after being posted online. What ideas occur to you for reporting on your Australian ecosystem? My Australian ecosystem, in this case, is the Outback or bush – The students in my maymester were each assigned an ecosystem in which to lead journalistic coverage on. 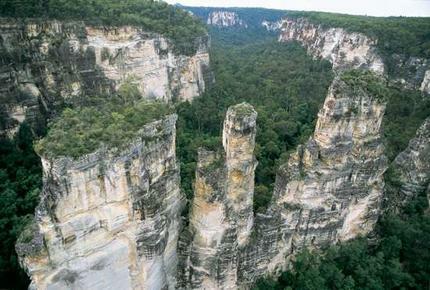 My group will be in charge when we’re at Carnarvon Gorge. The use of videos & photos will obviously come in handy for coverage. Carnarvon is an oasis of the bush, so we could focus on comparing it to the dryer areas of the Outback. Perhaps if we found an odd dry patch at Carnarvon, we could somehow explain, with visuals, the patch may be the gorge’s new reality if drought continues. Interviews with experts on the region will also be useful. It would be effective to conduct an interview while walking through the bush. Doing so would not only make the interview more visually appealing, but also give more context. This blog assignment required me to choose a climate change poll, or article, from Gallup.com and explain it, in no less than 500 words (blank face), ‘to the layperson’. 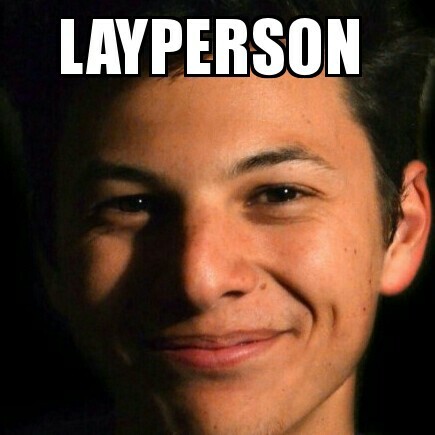 Ok, the word layperson has been used about 6fafj922 times in my maymester seminar since we began discussing science. Ok, jokes aside, I’m a student of journalism, not science. By no means would I ever pretend, or could pretend, that I was an expert of science. BUT, although journalists aren’t science experts, we can still accurately report on scientific happenings, given we do our homework. 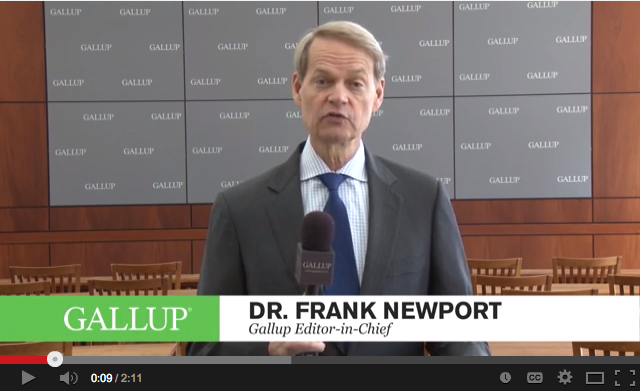 Gallup is a research-driven company that helps leaders solve their most pressing problems. It aids both the public & private sector, though is most known for its public opinion polls (Wikipedia). Tbh I was disappointed I wasn’t more familiar with Gallup before this assignment. Gallup‘s research and polls seem to be of the highest regard. The company is very popular come election time. Now onto the poll I chose – It was published 20 March 2014. After a brief intro complemented by that lovely, yet twerk-inducing, generic news theme music, Gallup‘s Editor in Chief, Dr. Frank Newport, gets down to business. He rhetorically asks, Which should have the priority: Economic growth or the environment? Newport mentions Gallup has been asking this question for years and just updated the current opinion results. He says that although recent results from Gallup polls show a lack of concern and worry in climate change specifically, Americans are now more concerned about the environment over economic growth – This hasn’t been the case in recent years. 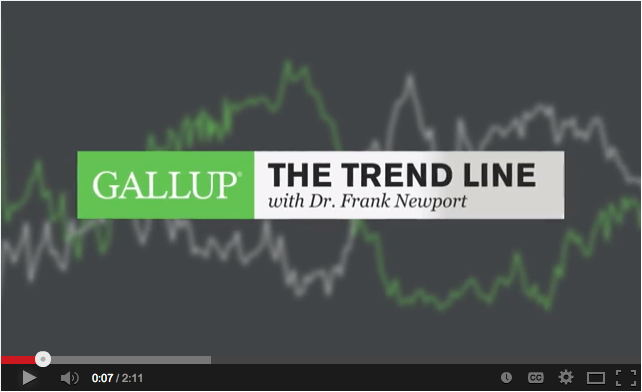 Newport introduces two inversely-related trend lines expressing how Americans have valued the economy vs. protecting the environment since 1985. He mentions that Americans were given a forced choice between the two. The environment trend line starts out overwhelmingly more valued than its economy counterpart. A gradual decline of the environment line, complimented by a rise of the economy line, occurs until 2004-2005. Once again, environment rises while economy declines – just for a couple years though. 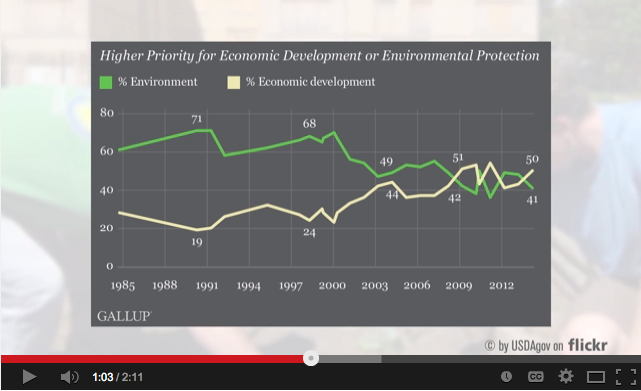 The Great Recession commences (’07) and Americans prioritize the economy over the environment. The graph ends with economy up and environment down. Newport shows the most current poll results and says we’re kind of where we were in the ’80s & ’90s with 50% of Americans saying protection of the environment should be given priority over economic growth. 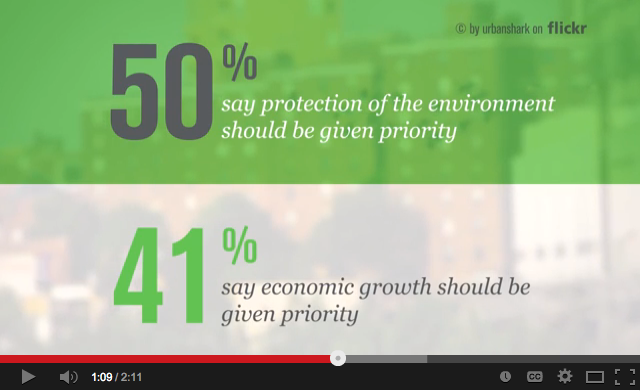 A lesser 41% of Americans now say economic growth should be given priority. Newport also mentions that the shift in position is likely due to a healthier economy. Newport concludes by showing a demographic breakdown of those who voted in favor of protecting the environment. 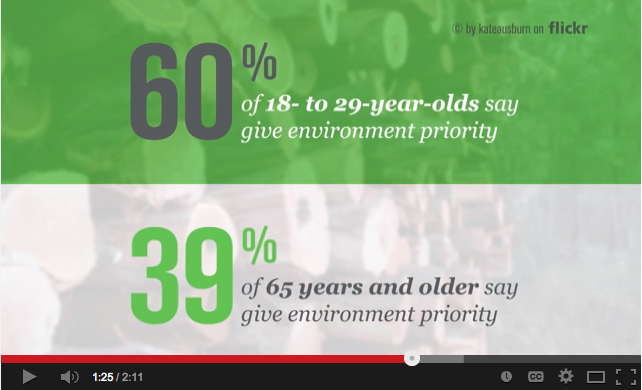 Young people are more likely to vote in favor of the environment that those 65 & older. 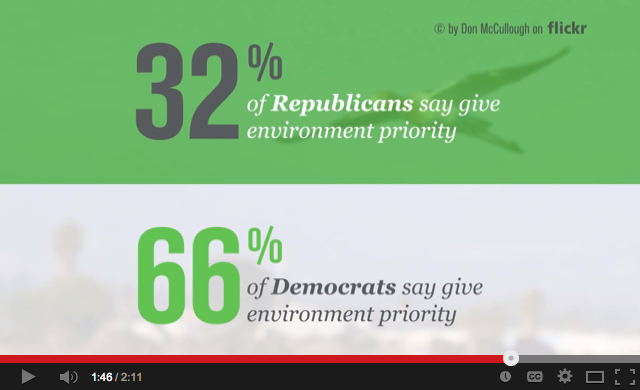 Republicans are less than half as likely to vote in favor of the environment than Democrats. At least from the POV of the environment, the poll’s results are hopeful. Since the economy has received its attention, perhaps environmental protection will now shine in the limelight. I believe Americans are a bit more satisfied with the economy (at least more so than in ’07-’09) and are realizing the environment, now, requires much-needed help. It’s a shame Gallup‘s polls show a lack of concern in climate change but I think these results are a start. 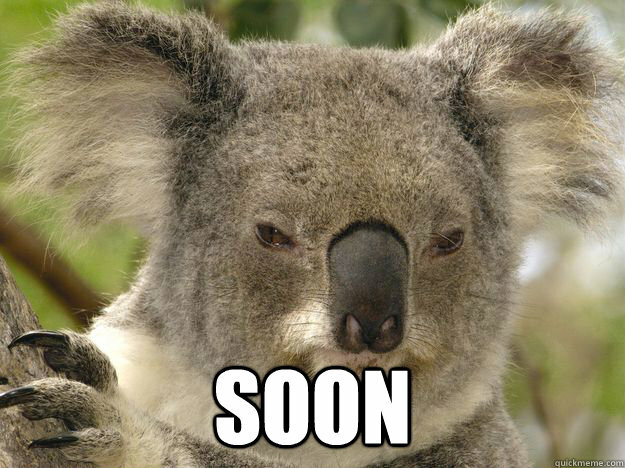 In addition to baring my personal endeavors in informing/entertaining (I hope) on my experience with the Reporting on Our Changing Environment: Australia maymester, Crikey! 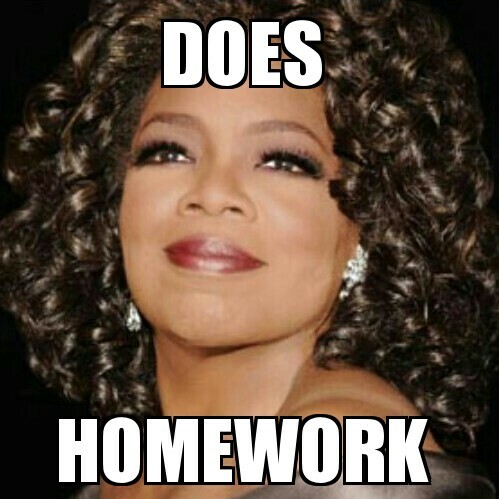 now serves as a requirement for class. Along with my attempts at personal blogging, expect more science & climate change content. Don’t worry though – I’m not a scientist or expert. My goal is to present any scientific content in an understandable way. In my maymester seminar class, we’ve analyzed reports from two “places” – the Intergovernmental Panel on Climate Change & American Association for the Advancement of Science. The IPCC & AAAS are two separate organizations that aim to do the same thing – provide a voice for the scientific community. From what I understand, both organizations devote their efforts to informing on, rather than carrying out, scientific experimentation. Each year, the IPCC & AAAS release reports presenting current scientific findings. My maymester class analyzed two such reports – The 2013 Report for Policymakers (IPCC) & What We Know: The Reality, Risks and Response to Climate Change. Just like the organizations, both reports aim to do the same thing – inform on the scientific community’s current findings on climate change. In the scientific community there is little to no debate regarding the occurrence and cause of climate change. What’s interesting about these two reports are the differing mechanisms used by their contributors to express similar research. 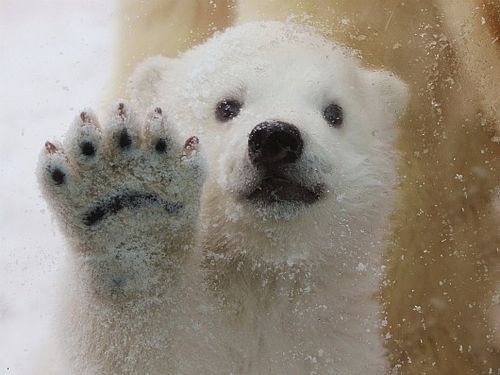 My (very) informal analysis: Here’s why we must act on climate change and do so now! I think the main reason our maymester leader, Dr. Kris, had us analyze both reports was to observe a possible shift in the way science is reported on. Coming from one of the most highly-acclaimed scientific organizations, alarmist reports that call for action, such as What We Know, are rare. In the past, similar organizations have prided themselves with the utmost objectivity. They have striven to JUST show the facts – To do otherwise would stimulate a conflict of interest. The most widely-accepted theory we discussed in class was that science writers feel the need to be alarmist because climate change is still taboo to the (American) public. For the science to be so substantial, too many people are still confused by the idea of climate change. Perhaps science writers feel it’s crunch time. Perhaps they feel for policy to change, first must the minds of an overwhelming majority of the public. 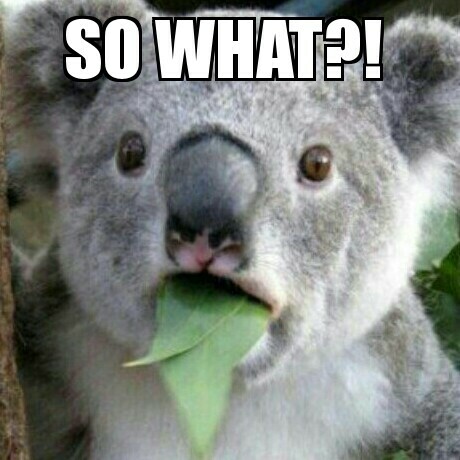 I’ll end with my new fave koala meme, kudos to Google. ‘Till next time!